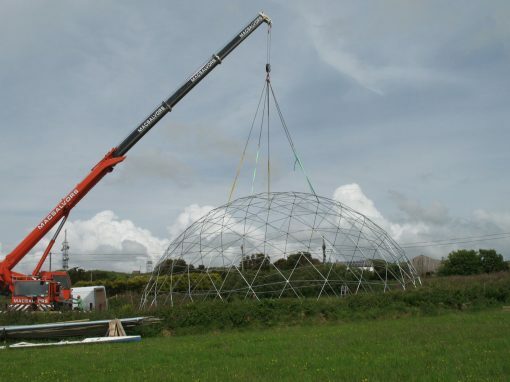 Lotus Domes manufacture elegant and efficient geodesic dome marquees & structures in the UK and now here in the US. 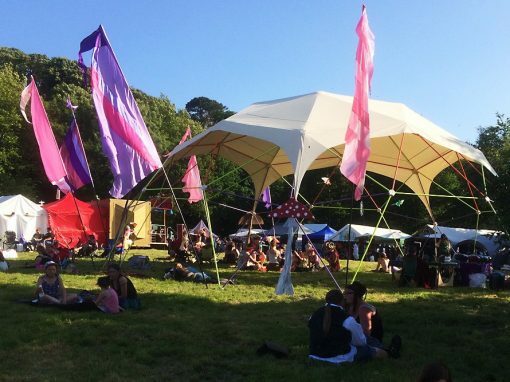 The ideal gathering space for festivals, weddings, events, shows and parties. 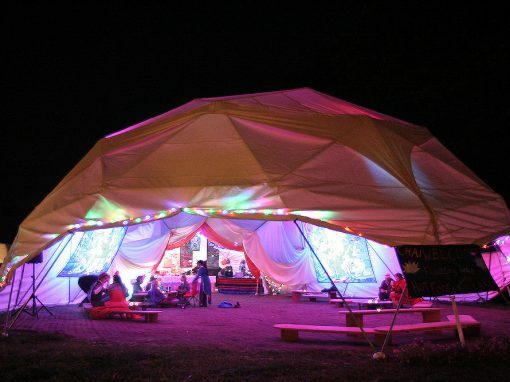 Geodesic dome structures have the reputation of being the most stable tents possible, also allowing for maximum use of internal space with no internal poles or external guy ropes. 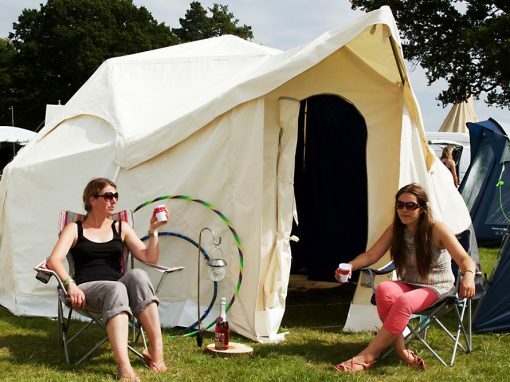 Wow your guests with a whole new setting and a memorable experience for all. Our novel design provides comprehensive and incredibly strong rigging points within the structural hubs. 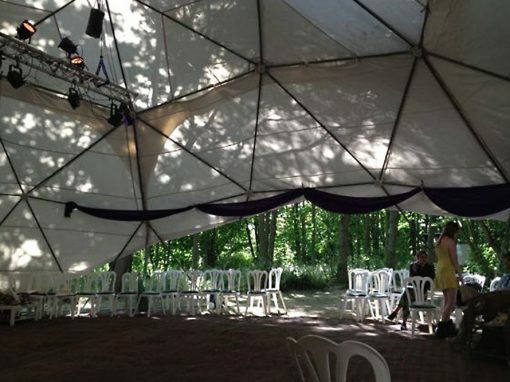 These can be used to support lighting and PA rigs, or potentially suspended floors for larger domes. 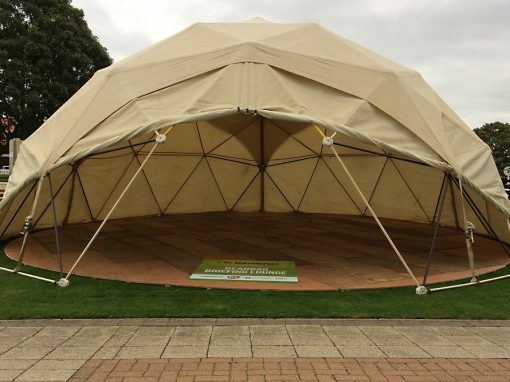 Over the last few years, the elegance and efficiency of our geodesic marquees have proved themselves practically within the market, having been used extensively for festivals and events. Retaining low overheads, we are able to offer a far more elegant solution at a competitive rate. 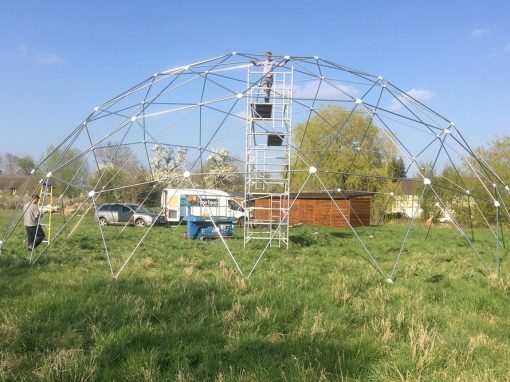 The Lotus Domes geodesic dome hub system is designed to make your life easier. Precision machined in our workshop from a tough engineering plastic. The hubs hold the poles at the correct angle and spacing making the build much safer and easier. Ball-lock pins secure the poles in place without the need for any tools. The hubs contain an embedded lock-nut, ready to accept eye-bolts for hanging lighting rigs, decorations or even trapeze wires. Imagine how this would help you? 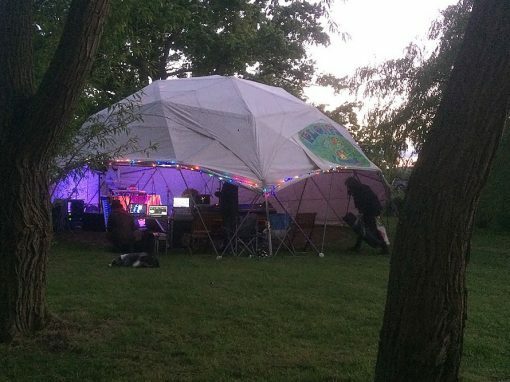 Why choose a Lotus Dome? We design & manufacture our own structures with covers. 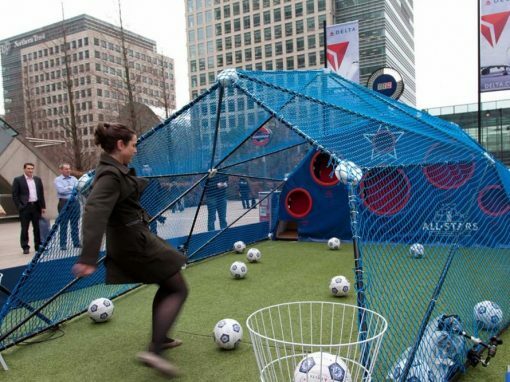 We can supply the best structure for your budget. A genuine love of geodesic structures and the spaces they create is evident in everything we do. 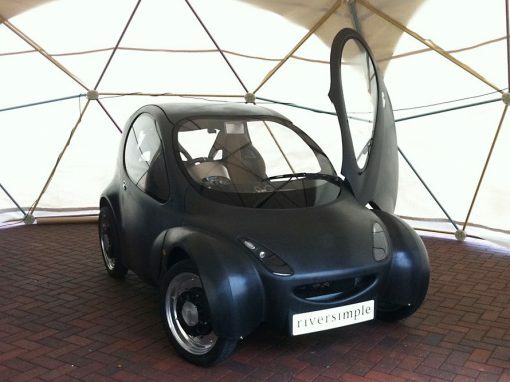 Bespoke structures, bigger, smaller, inter-linked. What do you have in mind? Our tool-free system is simply faster and safer to build. Shrug off winds and rain without guy-ropes and stakes to catch people. 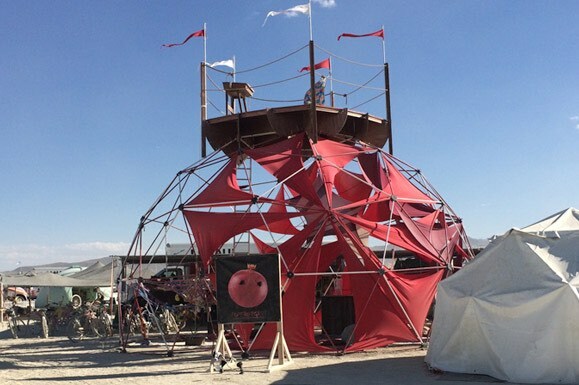 Sign-up for occasional updates from Lotus Domes. We hate spam and will never give your details away. You can easily unsubscribe via any email we send. 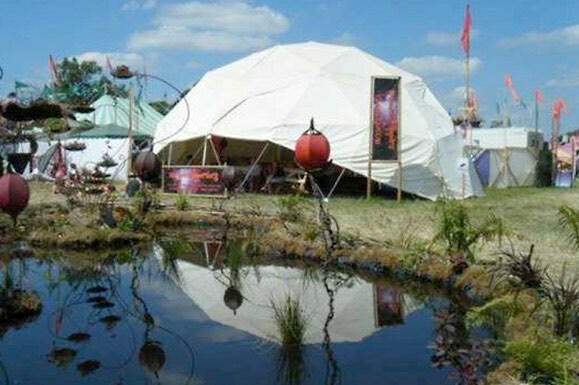 Lotus Domes manufacture elegant and efficient geodesic dome marquees in Malvern, England and Vallejo CA. 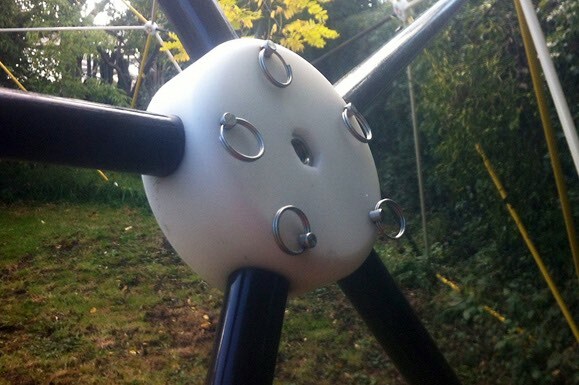 With a unique patented hub design, the domes have proven to be stronger, more versatile and faster to erect.